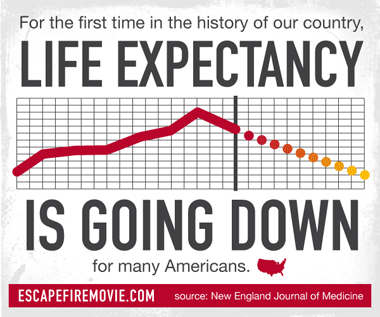 We hope our film can help catalyze a paradigm shift in how our country views health and healing. In the summer of 2009, we sat down with Donna Karan to discuss our broken healthcare system. After losing her husband to cancer, she was appalled by the state of American medicine and founded the Urban Zen foundation. We were inspired by Donna’s compassion for patients and passion for change. We then spent six months doing our own research on healthcare to figure out whether it was possible to take on such a huge topic. As we progressed, we kept hearing from a wide range of sources that we had a disease-care system, not a healthcare system, a system designed to reward quantity over quality, high-tech over high-touch. How did this perverse system come to be? How could we find our way out of this mess? As we started filming, we began finding characters/storylines that helped answer these questions, and we grew more and more convinced that there was an important film to be made. The goal of ESCAPE FIRE is transcend the misinformation and partisan debates. It’s a big subject for a feature-length documentary, and it’s a subject that carries with it decades of debate and misconception. Much of the recent media attention about healthcare has focused on the partisan politics in our nation’s Capitol — from the contentious passage of the Affordable Care Act to the ongoing polarized debate about its impact — yet our country is still unclear about what is really wrong with healthcare and how to move forward. 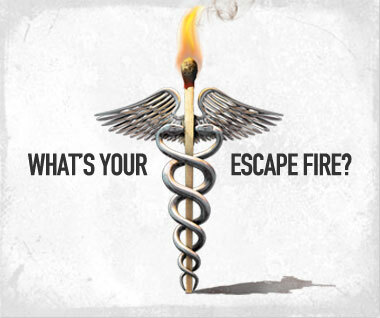 The goal of ESCAPE FIRE is to address what might be done to create a sustainable system for the future, to transcend the misinformation, the angry partisan debates and create a clear and comprehensive look at healthcare in America. 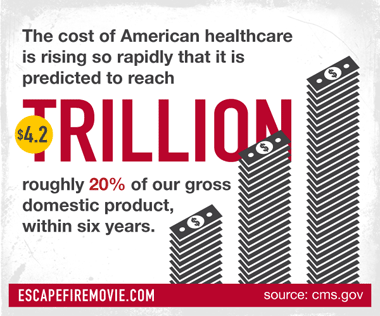 By combining powerful human stories with leading experts, we hope our film can help catalyze a paradigm shift in how our country views health and healing. 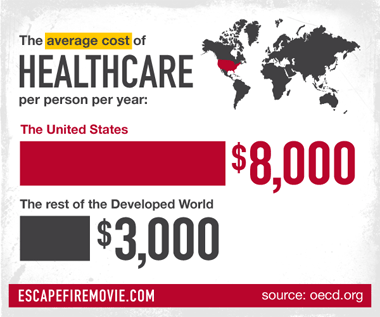 ESCAPE FIRE will allow audiences to come away with a clearer understanding of how and why our system is broken, the barriers to change, and potential solutions, or “escape fires,” that could help fix our system. We hope people will be empowered to help push for societal change. We also hope to inspire individuals to take better control of their personal health, realizing that in many cases they have the power to heal.